Meet the Anti-Cyborg Orchestra! was released by Viral Communications in 1996. 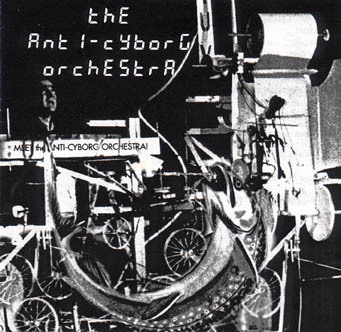 "The Anti-Cyborg Orchestra: Meet the Anti-Cyborg Orchestra! Three wacky lads (Steev Hise, Joel Fox, Douglas Repetto) studying composition at CalArts go into the studio with broken machines, toys, and thrift store instruments to create 4 months worth of free improv and multitrack trickery. 60 minutes, 9 trx."